Zika Virus Outbreak | Symptoms, Treatment and Prevention. After Ebola Virus Zika Virus outbreak has created a panic throughout the world. 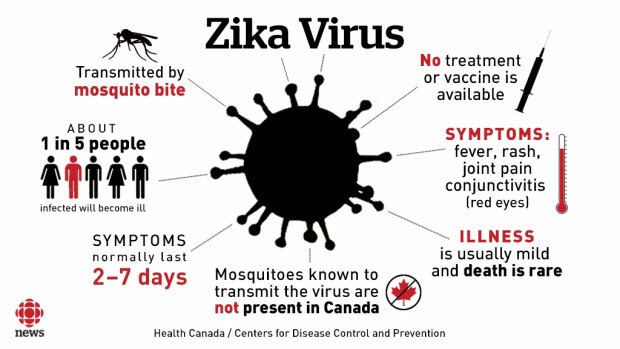 On 1st February 2016 The World Health Organization (WHO) has declared that the outbreak of Zika Virus is an emergency. Zika Virus was first isolated from the Zika Forest of Uganda in 1947. From then this virus is named as Zika Virus. In 1954 Zika Virus infectious patient was first isolated in Nigeria It belongs to the virus family Flaviviridae and the genus Flavivirus. It is spread mainly the by Aedes aegypti mosquitoes mostly at day time. Zika virus is related to dengue, yellow fever, Japanese encephalitis, and West Nile viruses. It can be transmitted through mosquito bites, from mother to child, through sexual contact, through blood transfusion. Zika fever in pregnant women is associated with microcephaly. It is a condition when a baby is born with an abnormally small head, as their brain has not developed properly. Guillain-Barre syndrome has been linked to the infection. The outbreak was first noticed in Brazil in April 2015. Then it has spread to other countries in South America, Central America, Mexico, and the Caribbean. Women of ecuador, El Salvador and jamika are forbidden to become pregnat in the next few months. Zika Virus inectious Patient has Been isolated in Bangladesh. The 67 years old patient comes from Chittagong. For the purpose of Dendue Viris study samle was collected from the patient of ICDDRB, Dhaka Medical College, Chittagong Medical College and Khulna Medical College. Zika Virus was isolated during this study in Chittagong Medical College. The mosquitoes lay their eggs in clean standing water. so people are being told to empty buckets and flower pots of water. Avoid travelling to Zika virus endemic countries. This entry was posted in Health, Medicine and tagged How to Prevent Zika Virus, Symptoms of Zika Virus, Zika Virus, Zika Virus in Bangladesh, Zika Virus Outbreak by Result Gov BD. Bookmark the permalink.